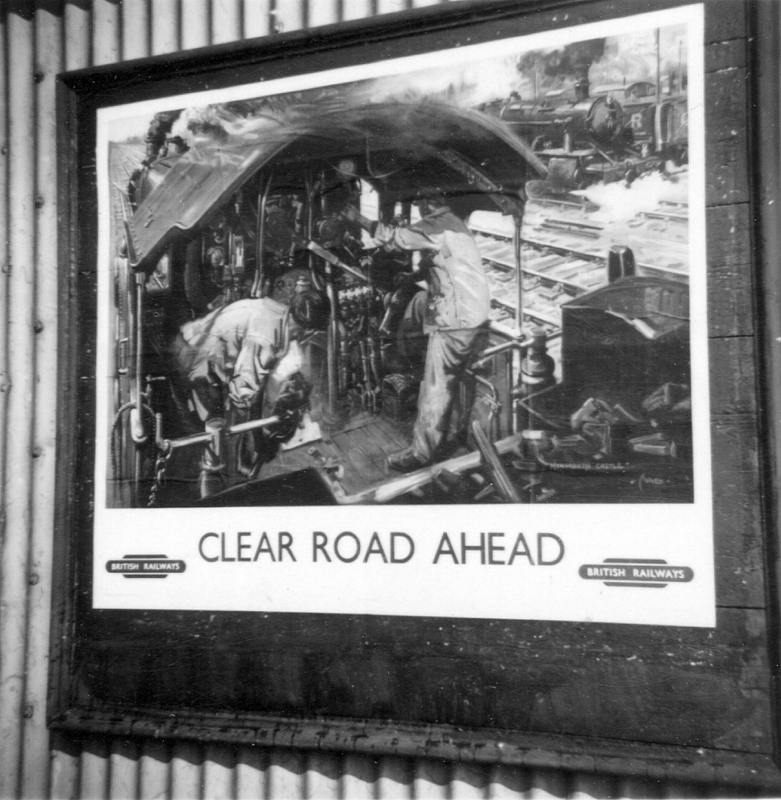 This poster on the platform at Littleton & Badsey Station features Terence Cuneo's famous painting of ex-GWR 'Castle' class 4-6-0 steam locomotive No.5037 'Monmouth Castle'. 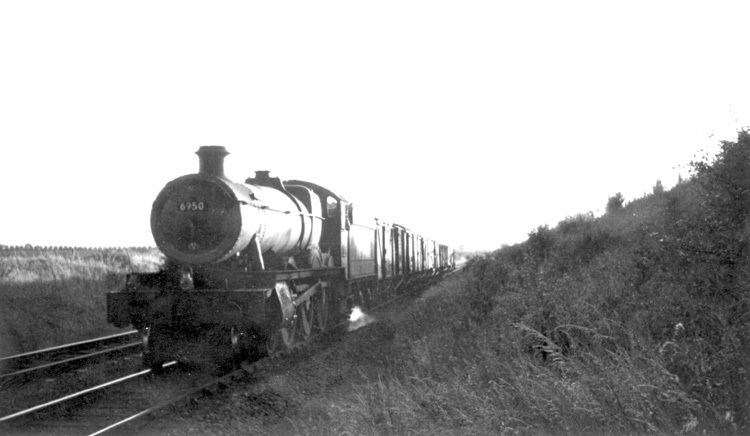 No.5037 was based at Worcester for many years. 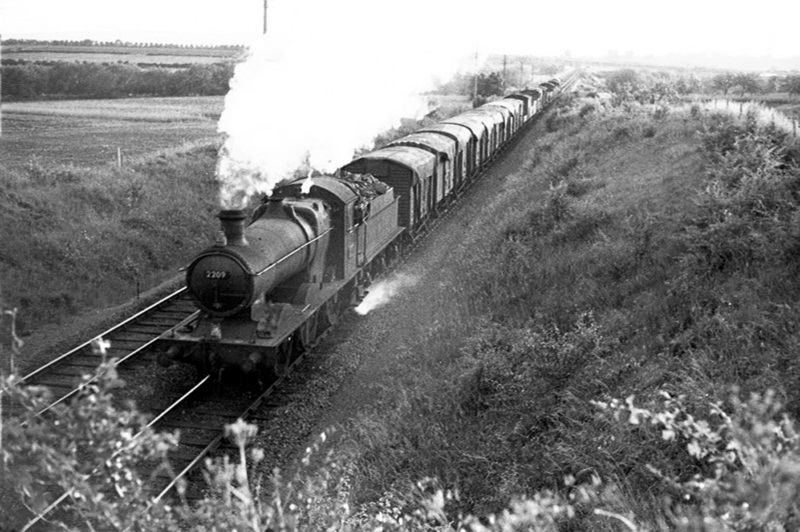 Ex-GWR 2251 class 0-6-0 steam locomotive No.2209 of Worcester shed approaching Littleton & Badsey from Evesham and about to pass under 'Mutton Bridge'. 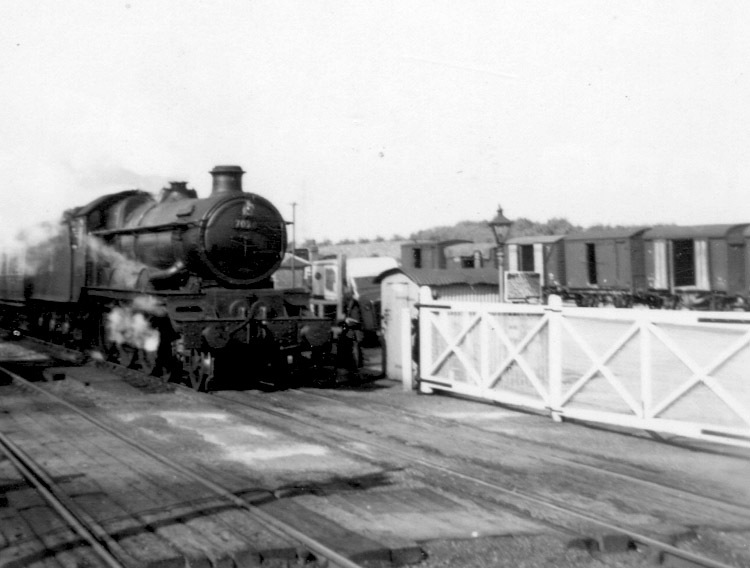 This is 4300 class 2-6-0 No.6387 shunting the yard at Littleton & Badsey. The locomotive was built at Swindon in 1921 and was based at Worcester from December 1960 until withdrawn in June 1962. This is a familiar Worcester based 'Hall' class 4-6-0 No.6950 'Kingsthorpe Hall'. The engine was built in 1942 and was at Worcester until June 1961. Kingsthorpe Hall is in Northamptonshire and was severely damaged by fire in 2002. 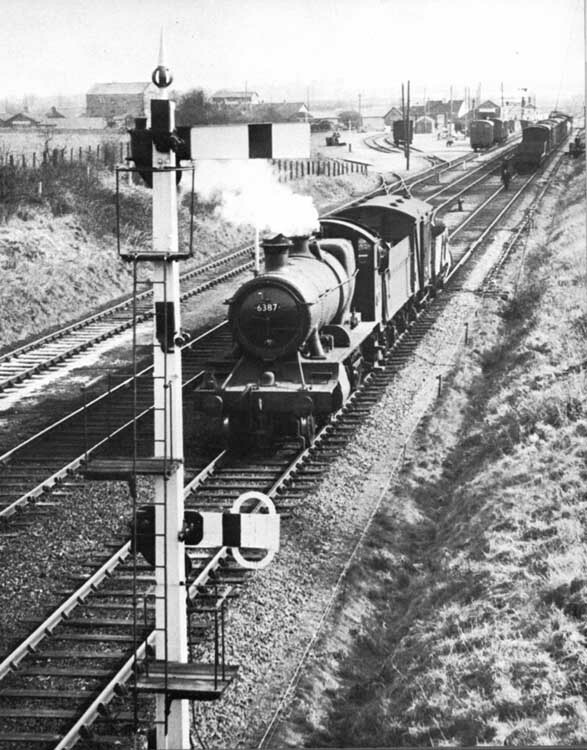 This is an 'up' express in the late 1950s behind Wolverhampton (Stafford Road) based 'Castle' class 4-6-0 No.7026 'Powis Castle'. Powis Castle is near Welshpool and was built over 700 years ago. 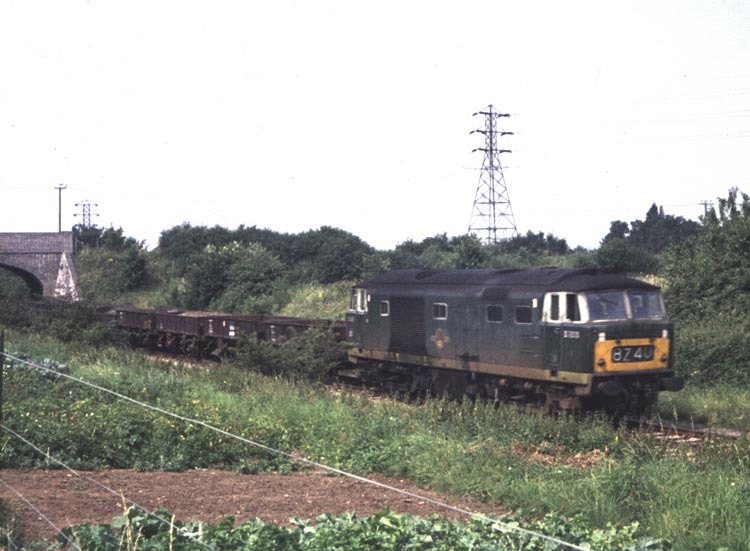 This is a class 35 'Hymek' diesel locomotive on a goods train. 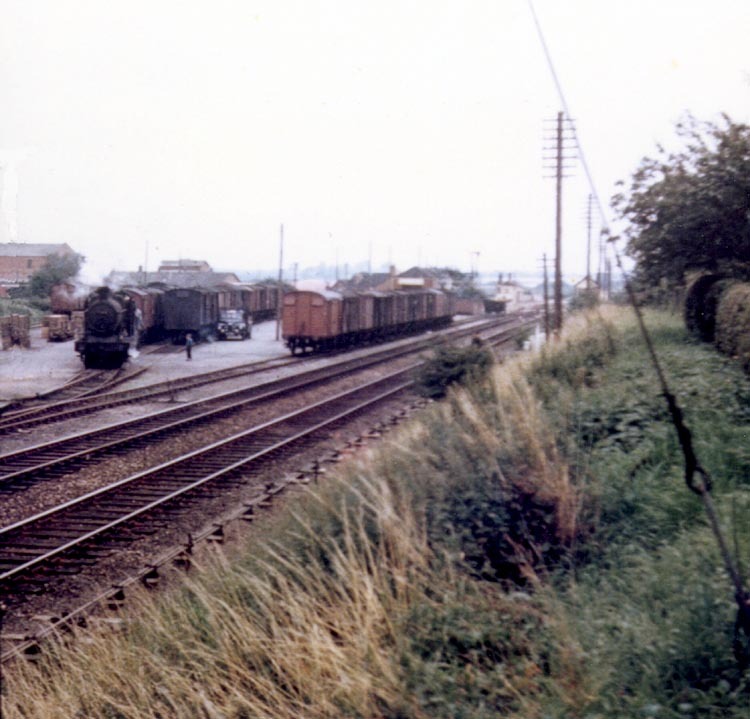 These locomotives had arrived on the line in 1963 and were familiar sights during the 1960s and early 1970s, but all had been withdrawn by March 1975. 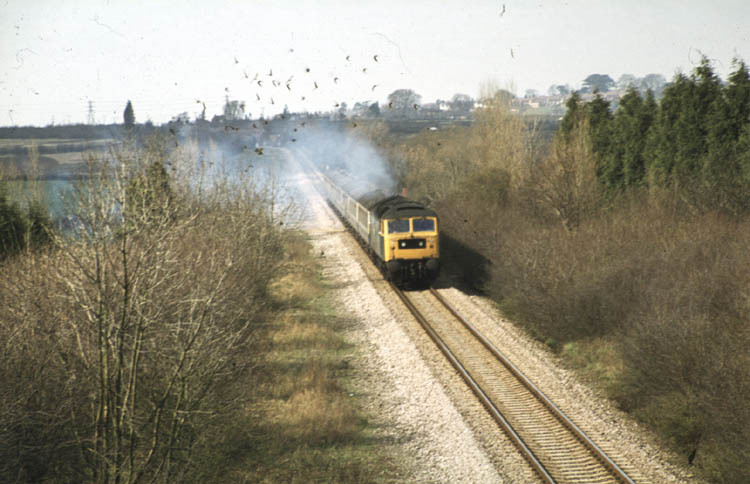 Photographed from the bridge, this blue livery class 47 diesel locomotive has disturbed a flock of roosting birds as it heads an 'up' express in July 1980. 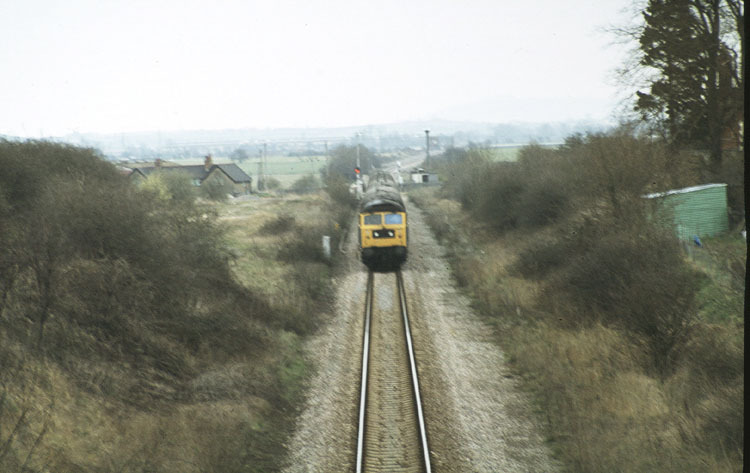 And another class 47 with a 'down' train also taken from the bridge. 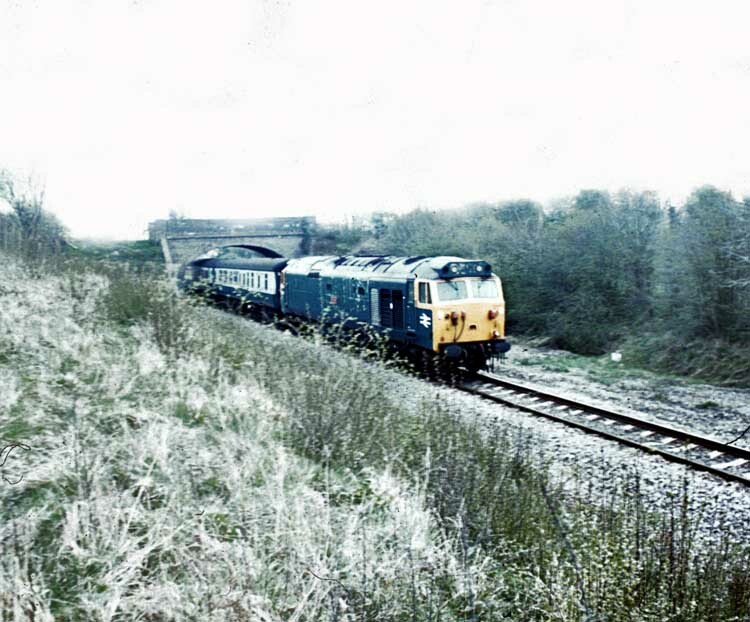 This is a rather nice photograph of an English Electric Class 50 type locomotive at Littleton & Badsey in April 1982. 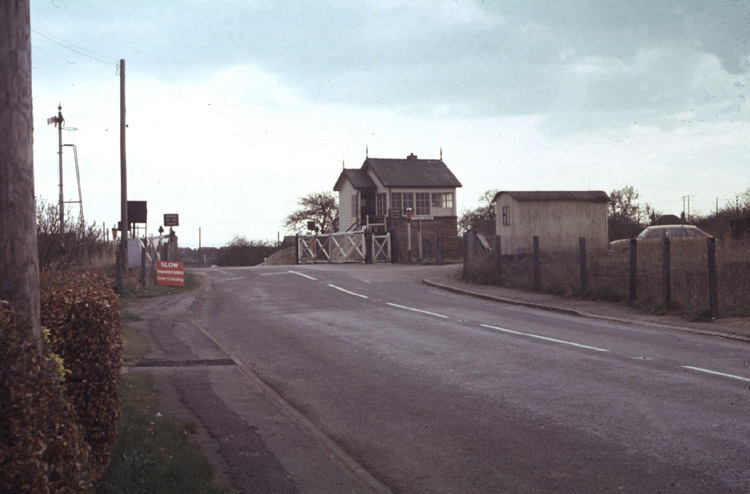 From an earlier era, this photograph shows a steam locomotive in the sidings in the early 1960s before the new 'up' home signal was erected. Note also the Littleton & Badsey Growers lorry being unloaded. 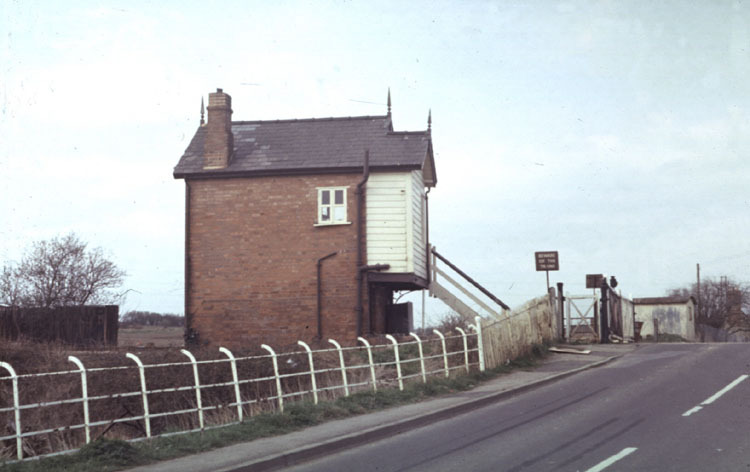 These two views will be of interest to model railway enthusiasts as they show the signal box at Little & Badsey in March 1978.